Nuno Espirito Santo feels hard done by after Raul Jimenez saw a goal wrongly disallowed in Wolves' 3-2 defeat by Tottenham on Saturday. With Spurs leading 2-0 at the time, Jimenez swept home Joao Moutinho's pull-back only to be flagged offside despite being half a yard behind Toby Alderweireld. Wolves boss Nuno said the goal could have made all the difference to the result, but respects that referees have a tough job. "It could have made a big difference, you never know," he told Sky Sports. "The ball went inside, it's so clear and it's hard not to feel a bit unfair when you see it but the referees have a tough job, and I wish them well." After a late fightback made for a nervy ending, Nuno praised both sides for an entertaining encounter, and said a draw maybe would have been fair. "It was a great game, definitely. It was well played, there was good intensity, all the action was good, all the players, the referees had everything in the game. Bad result for us, but a fantastic reaction. "The game went away from the beginning, we started well but Tottenham on the counter-attack had two situations which they scored from. That defined the game. 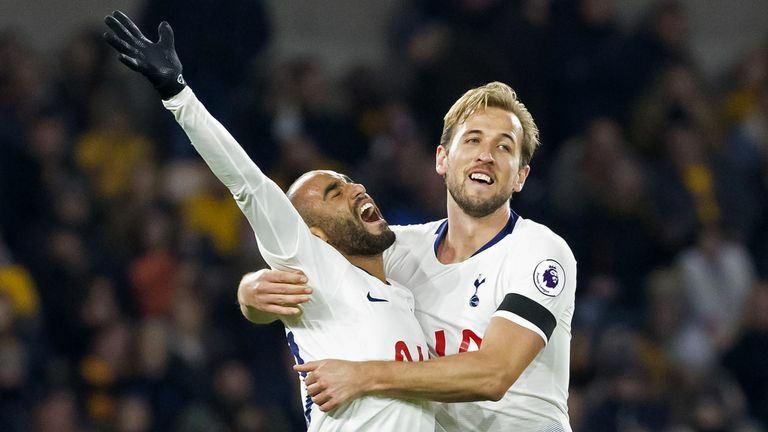 Highlights from Tottenham's 3-2 win over Wolves in the Premier League. "After that, we had character to go back and they scored a third during our best spell, and everyone thought the game was lost but once again the team went, we gave everything we had, took more risks in the back line and scored two goals but had more chances. "In the end, a draw, maybe, you never know, might have been right. But well, played, a fantastic atmosphere from the fans. It was a good effort from the boys." After a good start to the season, Wolves have now lost their last three games, but Nuno insists they will not change their attacking style of play. "We will not change, we have a way, a style and shape, and we will keep insisting on that. "We knew we were a good team. In the first half and had controlled the game, and that one could change everything. We went for it, and the first 15 mins of the second half was excellent. We really went for it, and the heart and the belief was there."